DONATE: Help support our mission to reduce poverty among rural communities in East Nusa Tenggara, Indonesia. 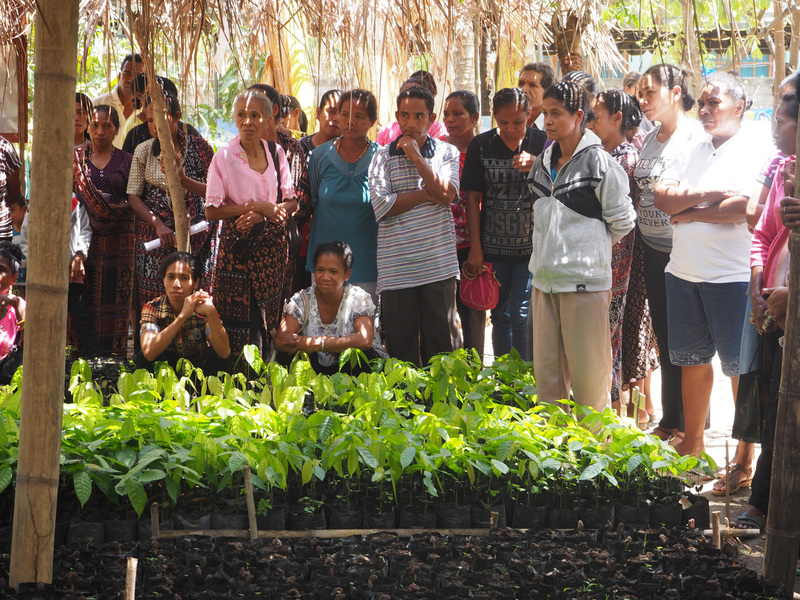 The Australian Council for International Development (ACFID) recently interviewed our President and Chief Executive Officer Dr. Colin Barlow about how NTA: East Indonesia Aid embraces sustainable development with our partners and communities. Click below to watch the entire interview. It’s getting colder as winter approaches, but warm hearts can achieve anything! There is no better time to make a tax-deductible contribution to NTA: East Indonesia Aid. Each contribution will be used to help fund the 2018 Cocoa Field Day and help improve vital community consultation meetings for the extremely poor communities of Eastern Indonesia. Above: Farmers are absorbed in the technical demonstrations for improving cocoa production. Yesterday, one of our members Bill Arthur completed his 23rd Canberra Marathon and his 65th overall marathon! What a fantastic effort! And to help celebrate the occasion, Bill sought sponsorship with the funds going to the NTA: East Indonesia Aid to build water tanks for poor farming communities. As we concluded 2017 and welcomed 2018, we thought it would be good to share with you our activities and achievements in 2016-2017 through our annual report. Feel free to access our annual report here. Seeking new Membership and Marketing volunteers! Can you help us raise the NTA profile and increase our income? NTA is seeking candidates for the crucial role of Operations Manager. Is this the part-time position you've been waiting for? Devpolicy blog features the NTA! We are thrilled to be profiled in the latest Devpolicy blog post. Check it out the full post here. In July 2015 NTA commenced an in-depth review of its support to education activities. The review was led by David Lever, a member of the Operations Committee, and supported by Indonesian education expert Ibu Letje Inabuy. ACFID, the peak body for Australian agencies providing foreign aid, has strongly criticised recent Government cuts to the Australian aid budget. Copyright © The Nusa Tenggara Association Inc. 2019. All rights reserved.